Dementia UK is a national charity, committed to improving quality of life for all people affected by dementia. They provide mental health nurses specialising in dementia care, called Admiral Nurses who work hand in hand with families, helping them cope with the fear, uncertainty and difficult everyday reality of dementia. By providing compassionate support and guidance, they help families to live more positively with dementia in the presen, and are committed to improving quality of life for all people affected by dementia. Dementia UK required a number for their donation line which helps fund their Admiral Nurses, who provide support to families affected by dementia. They required a specific number to call through to their call centre where people could call and make donations. 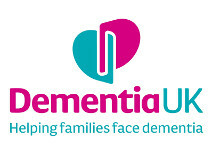 Telecoms World provided Dementia UK with a memorable 0800 Number to promote and advertise as their donation line. An 0800 Number is free for callers to use and pledge a donation to support the charity. Having online call management allowed Dementia UK to route calls through to their dedicated call centre and review incoming call analytics. Dementia UK have seen an increase in calls for donations and have been extremely happy with the memorable Freephone 0800 Number to promote in their advertising and on their website. With online call management and Call Analytics, they have gained better insight in to call patterns and manage staffing levels in the call centre accordingly.